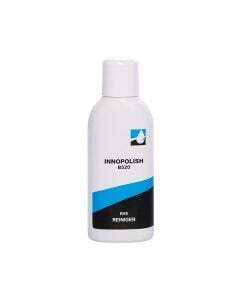 Innogel B450 is a special stainless steel cleanser that removes rust easily form stainless steel. 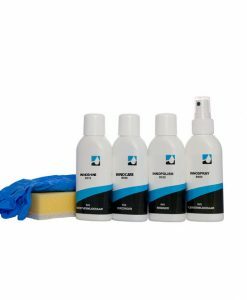 Innogel B450 is a user-friendly, green gel and is suitable for intensive cleaning of contaminated surfaces. Innogel B450 can replace sandblasting, pigging and pickling, methods which today are common for removing rust. All these methods have large environmental disadvantages. By using Innogel B450, all the environmentally harmfull effects of the named mathods can be avoided. Removing rust with Innogel B450 takes little effort and has the advantage that, even surfaces that are hard to reach, are easy to clean. Innogel B450 can be sprayed and will be divided on the surface with a brush or a sponge. After a short time, the gel can be washed away and the rust and other contaminants will be gone with the gel. What is the difference between Innogel B450 and Innoshine B570? 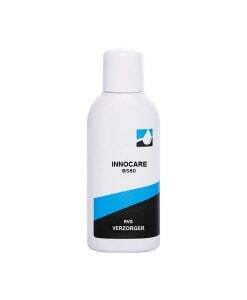 Innoshine B570 has the same, or even better results but requires intensive mechanical work. Innogel B450 is ideal for surfaces that are difficult to reach. 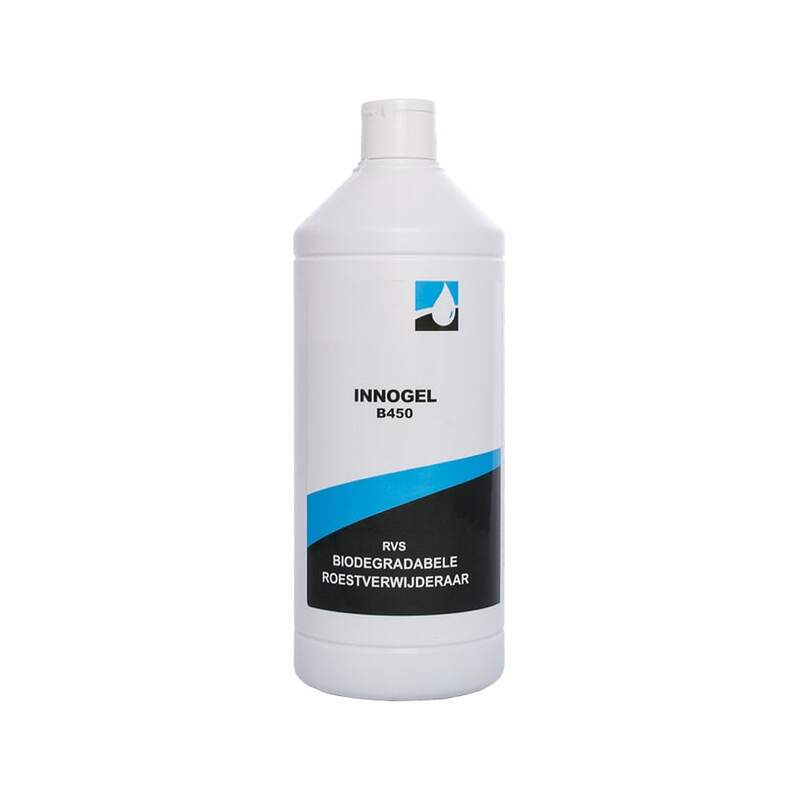 Innogel B450 has a contact time of 4 – 24 hours, where Innoshine B570 gives instant results. What makes Innogel B450 unique? Despite Innogel B450 is called a pickling agent, it is biodegradable and therefor much more environmentally friendly than other pickling agents. A number of environmental protection stages are unnecessary by the use of Innogel B450.